A man in Russia’s Urals with mental health issues brutally murdered two women, then had an epileptic fit and died, police have said. A video released by local media shows the suspect attacking a passing car with a knife. 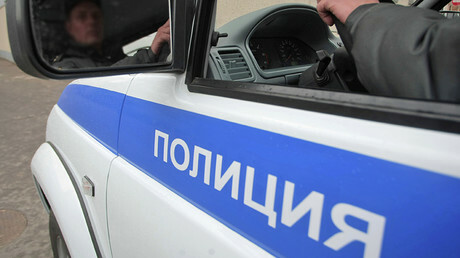 The incident took place in the small village of Kedrovka in the Urals region on Saturday, local police said in a statement, calling the events a “terrible massacre.” The suspect, a mentally ill man in his 40s rushed into a local shop, where he repeatedly and fatally stabbed a saleswoman. The body of the second woman, apparently a witness, was found 8 meters from the first victim. The man then dashed into the street, swinging his knife. Some passers-by attempted to stop the attacker, before he was detained by two traffic police officers who happened to be in the area. After the suspect was handcuffed, he suddenly experienced an epileptic seizure, police said. The man died on the spot before the ambulance arrived. The suspect’s mother told police that her son had behaved aggressively on Saturday morning, which led her to call her daughter asking her to take the man to hospital. “However, the relatives couldn’t protect themselves and others,” the statement said. A local news online portal e1.ru released graphic footage from a car video recorder, allegedly showing the attacker on killing spree. The video captures the man violently attacking someone on the ground. He then notices the approaching vehicle and attacks its windshield with his knife, almost breaking the glass, as the driver races past the scene. “The attacker was stabbing a woman with a knife. Her body was terribly mutilated: he took off her scalp,” a local resident, identified as Aleksandr Snegiryov, told the outlet. When the suspect started attacking a driver in another vehicle, Snegiryov says he knocked him over with his car, whereupon two other men grabbed the attacker and pinned him to the ground. “He was roaring like a wild beast,” Snegiryov added. Russian social media network VKontakte. One woman released a video of the alleged attack aftermath which shows police surrounding what appears to be a human body covered by a blanket.